The horses have become one of the attractions in southern Namibia and thousands of tourists visit the Garub waterhole near Aus annually, to witness the horses galloping to the water across the Garub plains. 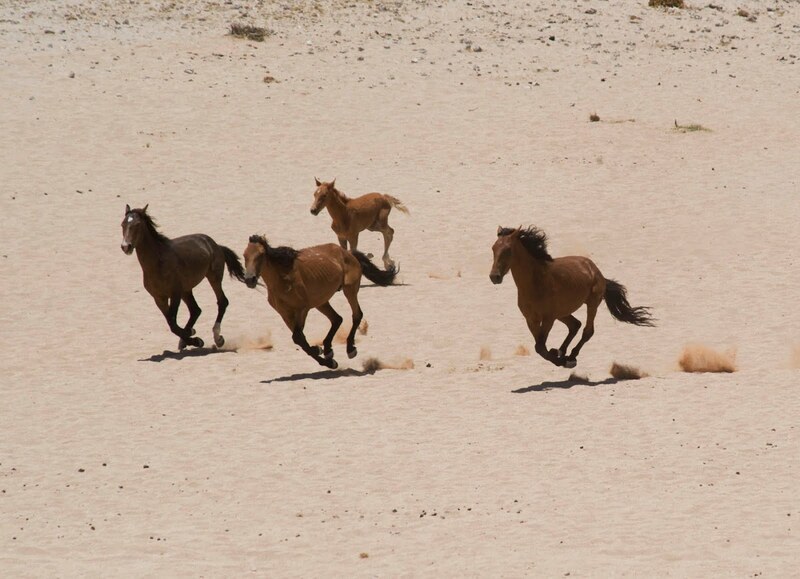 Just outside the town of Aus in Namibia one will see signs to the Wild Horses. Turn off the road and find a small shelter. From here one can watch the Wild horses as they wander across the desert to drink.